I have been a busy camper, what with sorting out the craft fair, planning a wedding, going for a job interview and generally getting on with life! The craft fair has been and gone now this weekend and will say was a little disappointed as it was not the fair for me. Not many people were out to buy but the good news is the lovely stuff now gets listed in my Folksy shop and possibly Etsy so grab it while you can! A new addition are the snowballs, fluffy hugball balls that are just adorable! I have also been busy making commissions on the side for special people and shall post soon once they have received them so as not to give the surprise away. Interview has now also been and gone so can only wait to hear but fingers crossed and the wedding so far *knocks wood* appears to be going all ok.
Having a break from making and keeping myself busy to get more things uploaded to the store. 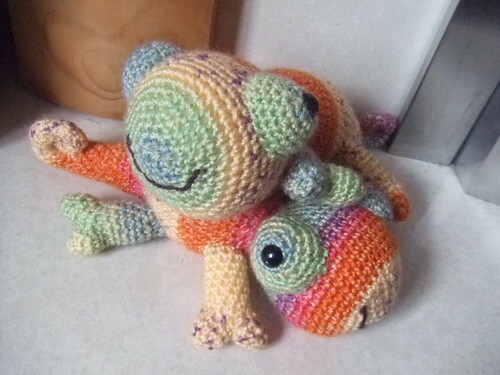 Current project is to finish 30 tiny turtle toy wedding favours. Must get the camera charged to show of the cuteness! Listings are happening steadily at one a day now with both the crochet and felt creations. To celebrate opening the shop and a thank you for anyone that purchases for a limited time only I will be including a free mini amigurumi with each purchase including any commissions. Further happiness, my parents are getting another puppy and went to see the prodigy, absolutely gorgeous and when you get to see 20 puppies in one sitting aged 4-8 weeks all wanting to play, it was absolutely bliss. Watch this space for puppy pictures once uploaded! Well creations are well on the way. Decided to put some more effort into photography (as I am not the best). Being a beautiful sunny day decided to take them outside into the public gardens, I may have got in everyone's way but least it was good fun! Just needed to get my beloved other half to change some graphics and layouts for the shop and stop my cats interferring with my toys and we are on our way! Hello folks. I have been gone a fair while and can only apologise for the length of time. I have been busy moving in with my partner, settling in a new job and also now planning the final touches to our wedding next March 2012. But good news I have decided to get back into my craft making and start my online presence again. I have been busy in the crafty sidelines making commissions here and there, also expanding to soft toy wedding favours. I am planning to bring back my "Amygurumi" amigurumis with the selected collection of my more intricate and detailed felt soft plushies. I am planning on some mystical themes. It is good to be back and will have some updates shortly of what I have been up to and what is to come. If any questions or requests, let me know! Hello All! I have exciting news -I have had my first commission to make a toy through Etsy! YAY. I was very excited and the little guy is making his way to the USA as we speak! (Pictures to follow soon). Here is the link direct to my Folksy shop homepage!! I am also setting up my Etsy shop properly now and considering things to add to the site (thinking adoptable amigurumi puppies.. in the works). Have been making like mad to keep my mind of the everyday depressing things and will post very shortly what I have made (sorry for the lack of posts, promise to have something more interesting soon). It has been a hectic New Year for me in life, family and work, but I have still had time to craft, craft, craft!!! I just love to do it! I have now put some bits and pieces on my etsy site and truly hope to sell something soon (exciting!!! ), locally I have been selling gloves thanks to the cold weather and boy has it been chilly!!! So what have I been making? Well felt Walkers crisps, No Face from Spirited Away, Calcifer from Howls Moving Castle amongst penuin amigurumis!! Also been making Jack Skellington from Nightmare Before Christmas - the more unusual and challenging the better. What have I got coming up??? Seven sins in Dotee form and Felt food that you get at Alice in Wonderlands tea party - watch this space! I am thinking blues and whites with jammy hearts alllll over! More unusual things I have also been doing is a Domokun stuffie (Japanese character - google it, he is super cute and a little scary!!!) as well as a Onigiri Rice ball plushie (also super cute - a kawaii Japanese food character -they do the weirdest sweetest things!) and a little amigurumi dragon for my partner's chinese zodiac symbol for the new year! He loves marshmallows and is still using his training wings! Nearing my 30s adore animals and art. This is a blog dedicated to my chins.